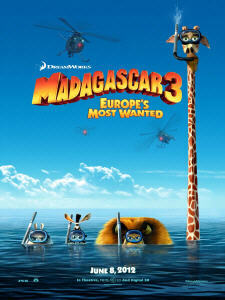 English Title: Madagascar 3: Europe’s Most Wanted. Release Date: 18.05.2012 (France), 08.06.2012 (USA). 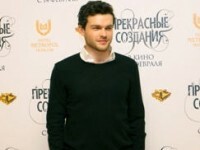 Russian Distributor: Central Partnership (07.06.2012). Genres: 3D / Adventure / Animation / Comedy / Family / Sequel. Directors: Conrad Vernon, Eric Darnell, Tom McGrath. Voices: Ben Stiller, Chris Rock, Jada Pinkett Smith, David Schwimmer. 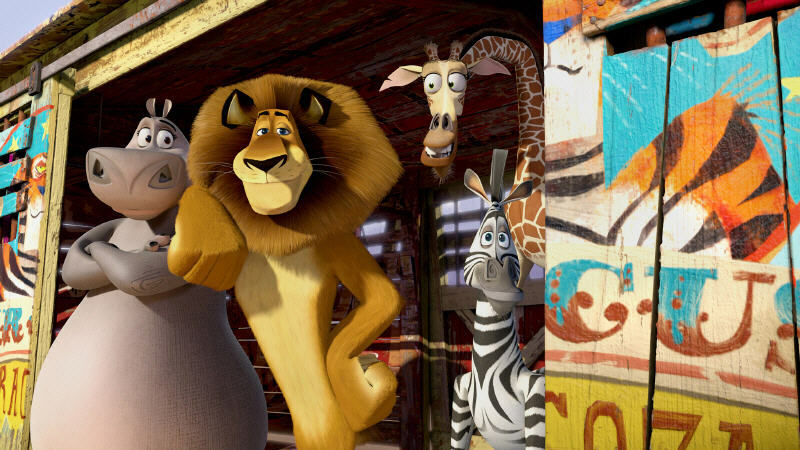 The third entry for the Madagascar animated series has been in the works longer than any of the first too. However, Madagascar 3: Europe’s Most Wanted, Review of which is already here, shows itself as an exciting adventure, where the familiar characters will meet new friends. 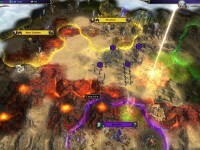 The ultramodern 3D-effects and animation technologies have become a welcome addition to this franchise as well. When the DreamWorks Animation studio made up its first story featuring the animals escaping from the New York zoo, probably, its staff couldn’t guess, where it would lead them further. At that time the company was working with a large number of other titles, while the Shrek (2001-2010) euphoria was nearing its peak. Still Madagascar (2005) even then looked like a start of a new promising franchise. The African journey of the characters in the sequel was almost twice as expensive, even though the box office figures didn’t rise so much. That’s why the animators really had to make a breakthrough to save the series from the fate of the exhausted Shrek franchise. It is nice to note that they succeeded in finishing the trilogy with one great final touch titled Madagascar 3: Europe’s Most Wanted (2012). The stories about the adventures of Americans in Europe do not look like something new by themselves. Here, we can remember the teen comedy named EuroTrip (2004) or the worldwide championship featured in Cars 2 (2011). Even The Hangover (2009-2011) franchise characters can travel there in their new movie. Where Pixar relies on emotional stories and dramatic twists, DreamWorks usually inhabits every frame of a variety with abundance of jokes, allegories and parodies resembling the characters of modern pop culture and other movies, making people laugh till the final credits. Well, the good news is that the new plot isn’t only amusing, but it also evolves into a more mature script, where the writers have found time for friendship, romance, mutual support and tough decision making. 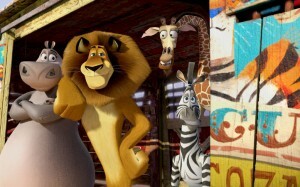 In the animated film Madagascar: Escape 2 Africa (2008), the heroes stayed in Africa, dreaming of returning home, and the new episode opens up at the same place. Then Madagascar 3: Europe’s Most Wanted immediately sends away the penguins on a plane to Monte Carlo, while the lion Alex, zebra Marty, hippopotamus Gloria and giraffe Melman come with an idea to follow their old buddies and beat them up, then apologize for it and fly home. The main characters, of course, are also voiced over by all the same Hollywood celebrities: Ben Stiller (Alex), Chris Rock (Marty), Jada Pinkett Smith (Gloria) and David Schwimmer (Melman). Unfortunately for Russians, people won’t hear them, because the film was dubbed in native language by local actors and TV stars. The series has always featured cool main characters, but this time they are accompanied by a charming supporting cast, where some familiar animals now get less time, because the newbies need it more. It doesn’t concern the Penguins though. Here Skipper, Kowalski, Rico and Private compliment the whole picture always appearing at the right moment to save the day and friends. By the way, this Penguins were lucky to get their own animated TV series. If you want to learn more about them, then we recommend you to watch The Penguins of Madagascar (2008-2012), which features a lot of funny adult humor and shares all the same creators as the original story. For this animated TV series with the Penguins Three seasons have already come out filled with 139 Episodes. 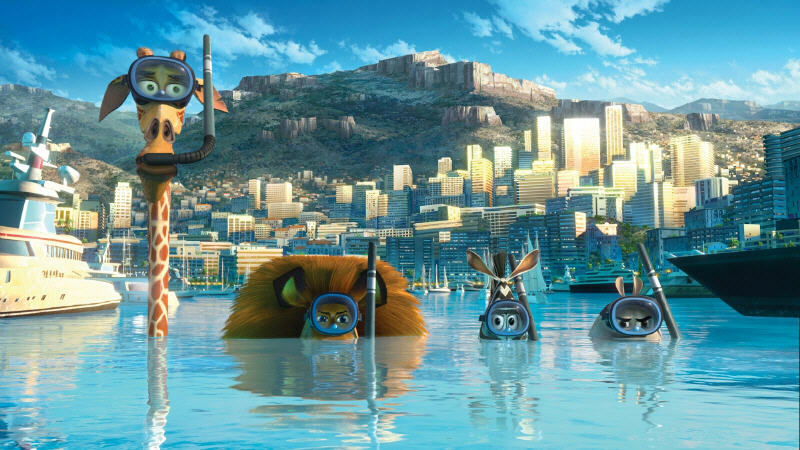 Meanwhile, there is no reason to doubt that the team at DreamWorks will release additional supporting stories for the fans of Madagascar 3: Europe’s Most Wanted, expanding the film with bonus content, when the movie gets released digitally. It is worthnoting, how the trio of directors expanded with former creative consultand and Co-Director of Shrek 2 (2004) named Conrad Vernon. At the same time, his colleagues, Tom McGrath and Eric Darnell, can both already be considered veterans of the Madagascar (2005-2012) franchise. 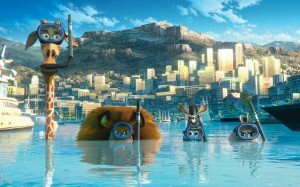 Read on further to learn about the story and the characters of Madagascar 3.